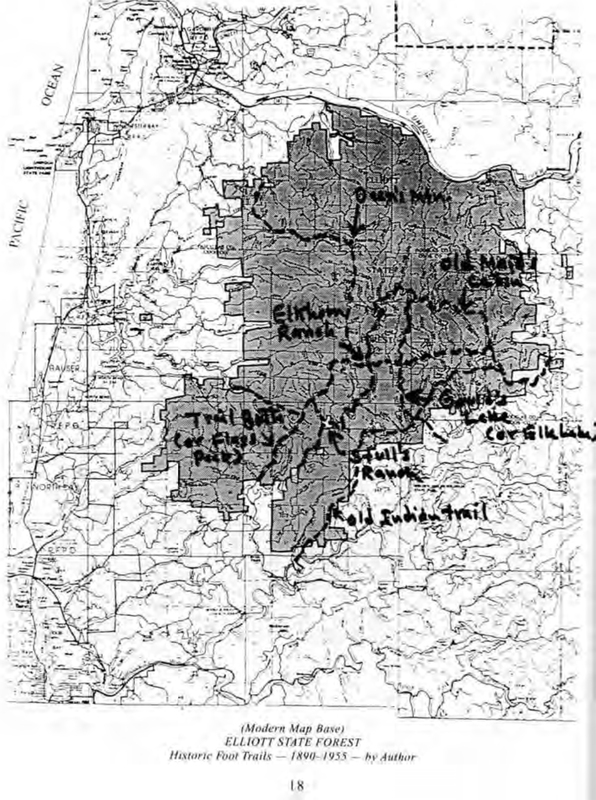 Map 1.1. 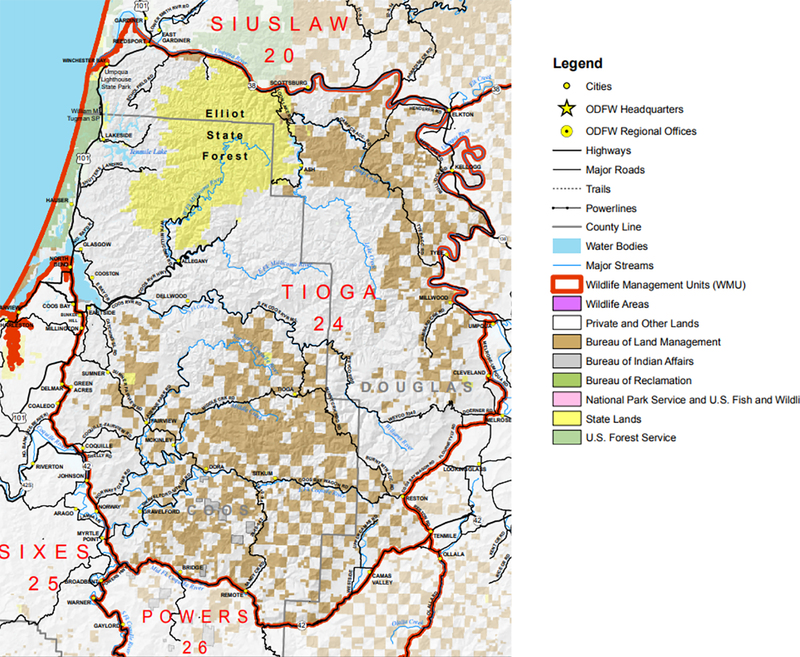 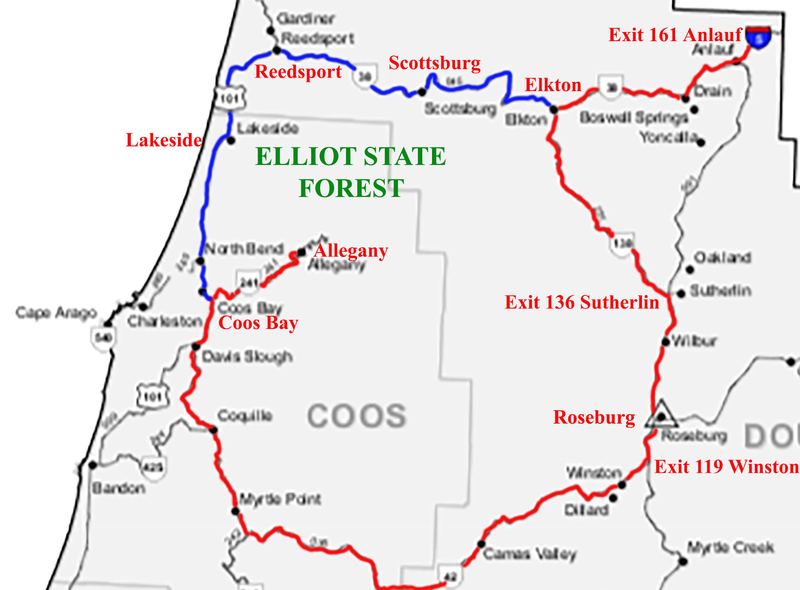 Elliott Forest Access Map (Oregon Department of Transportation 2017 base map). 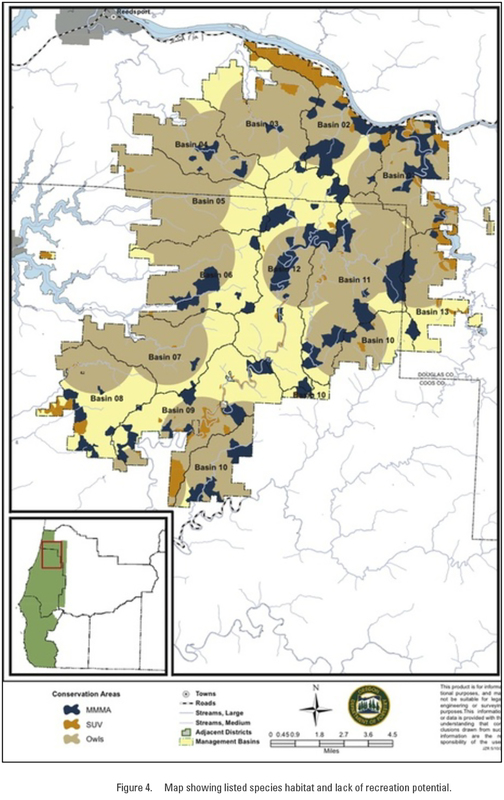 Citation: Amy Kronsberg, Tara Boyd, Maggie Boone, Cole Smith, Daniel Patton, Carter Carr, Matthew Hofenbridl, Maxwell Richcreek, Matthew Smith, Abigail Richards, Cody Harkins, and Scott Guthrie 2018. 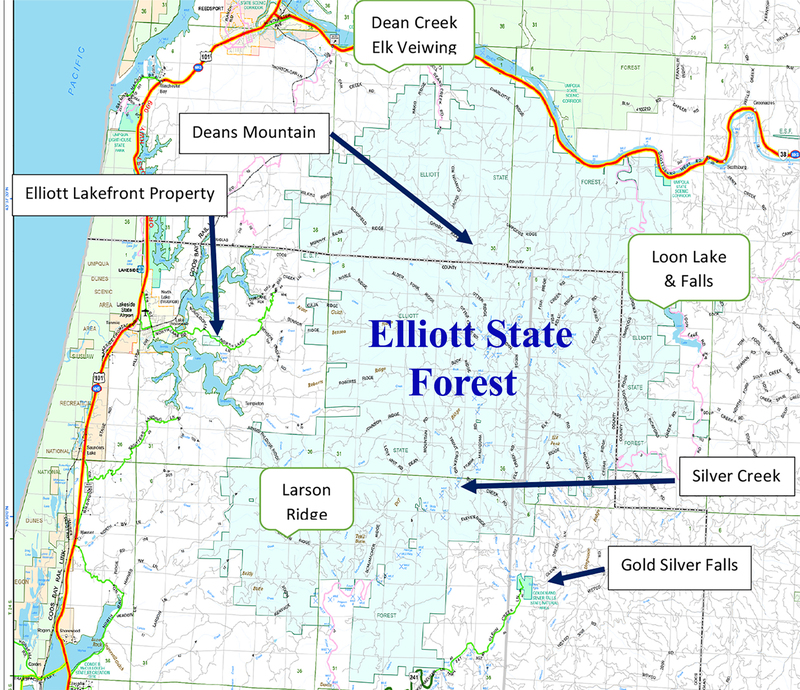 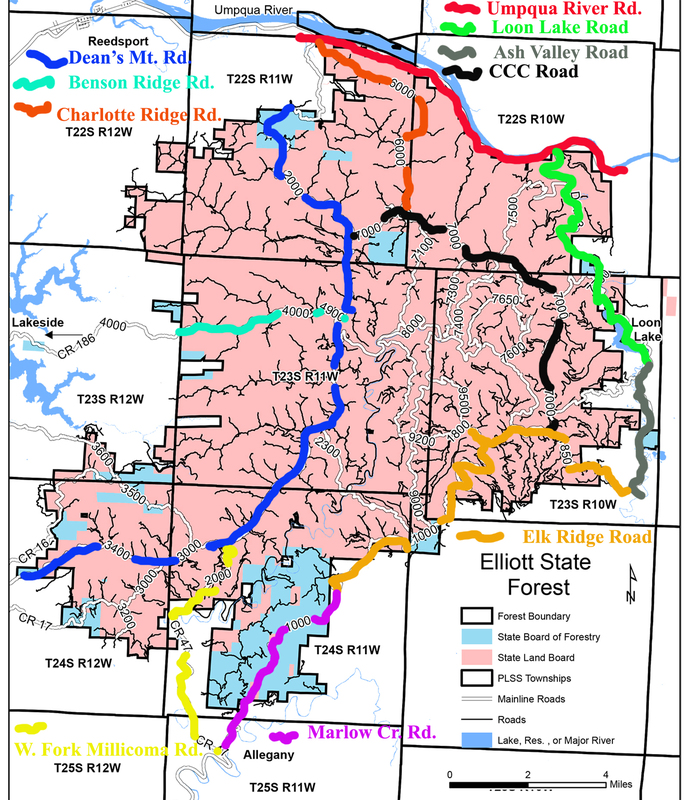 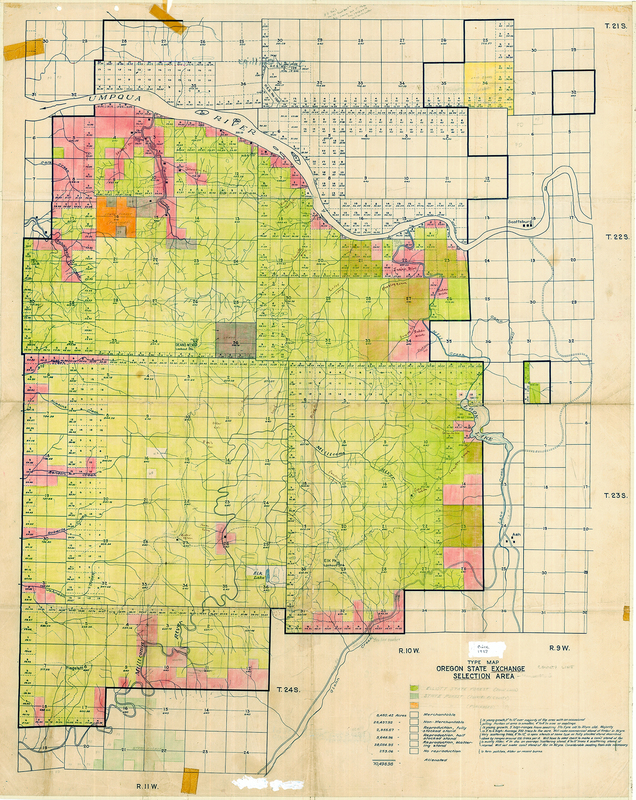 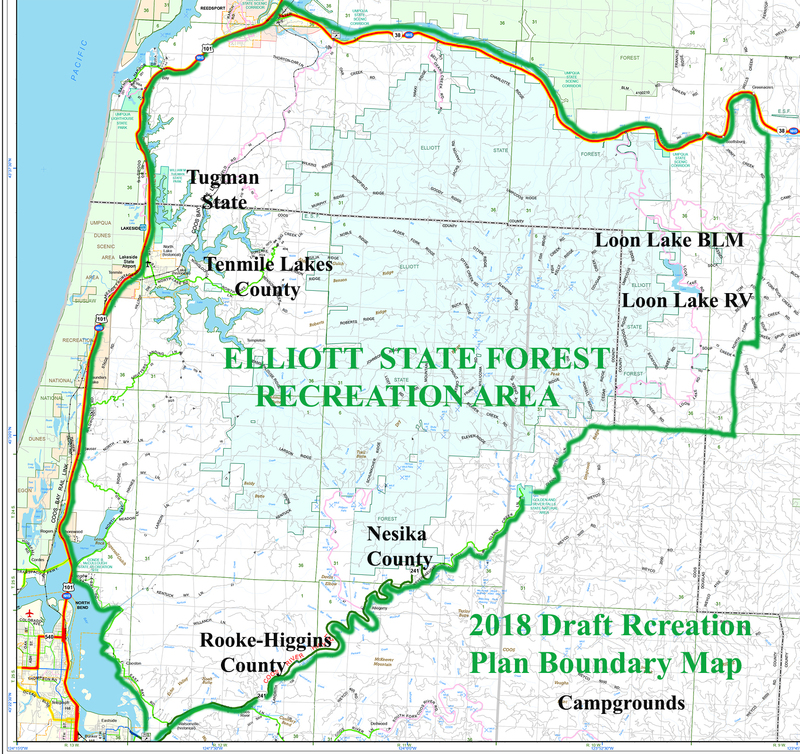 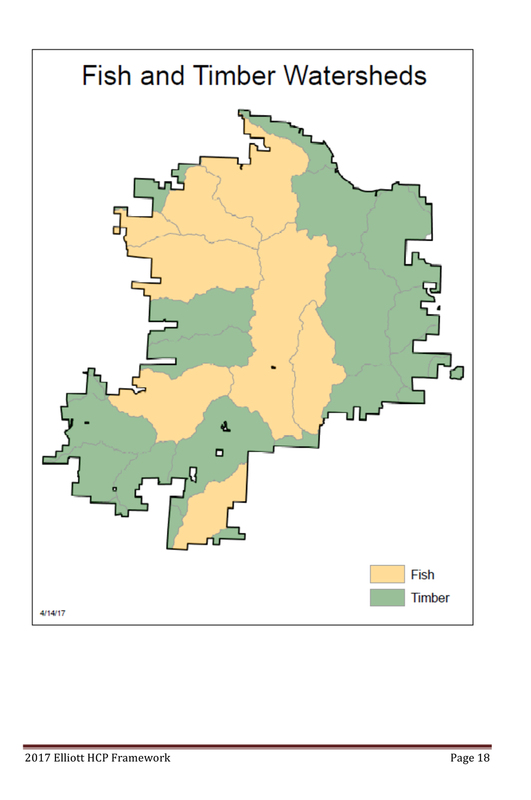 2018 Draft Elliot State Forest Recreation Plan. 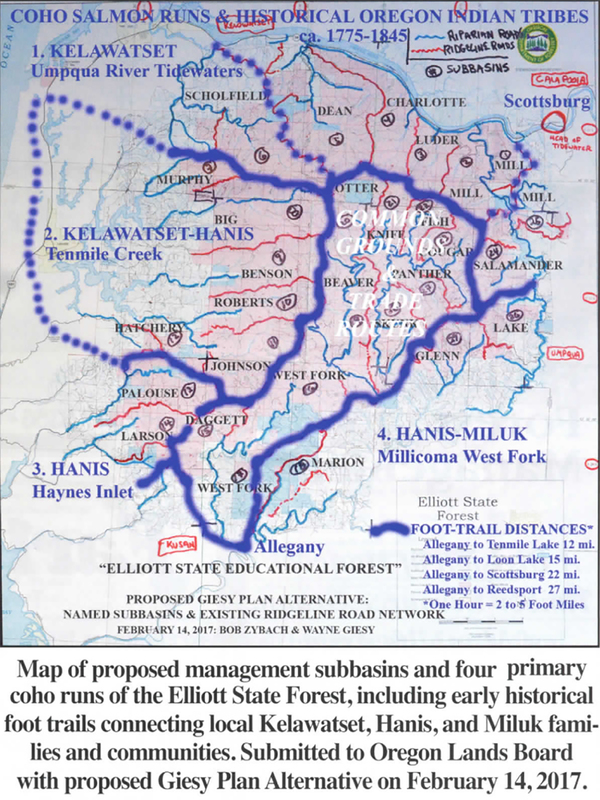 Oregon Websites & Watersheds Project, Inc., Philomath, Oregon: 65 pp. 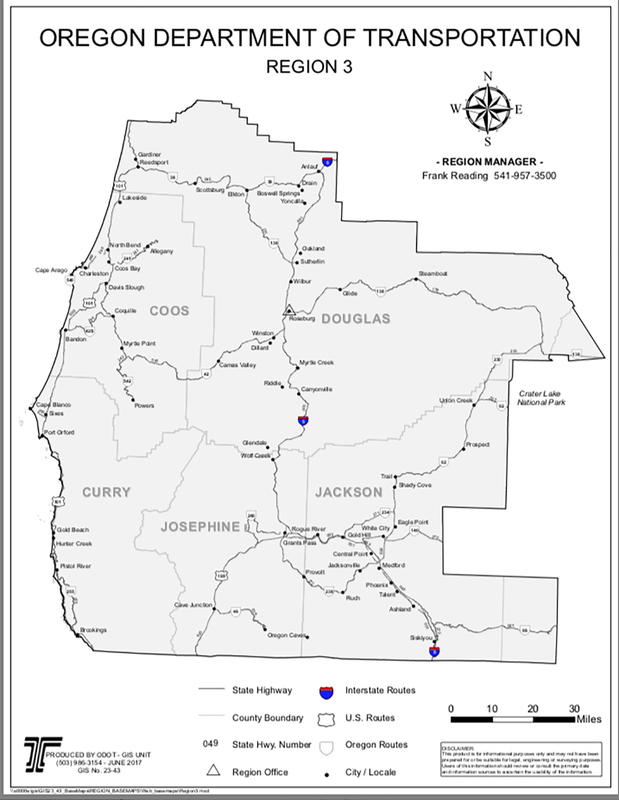 [PDF: 7 MB].